In Antigua you choose your sugary-white strand of beach, grab a towel and bake in the sun. A Caribbean dream island, with a beach for every day of the year, beguiling waters, pastel-colored facades and a fascinating naval past - if you can drag yourself away from your lounger, you'll see the beach is just the beginning. A charming thatched restaurant carved into the side of a cliff-side serving delicious tapas foods like ruffle mac-'n'-cheese infused with porcini stock; or slow-cooked mahi mahi with bok choy, black olives, and saffron sauce. Enjoy the fantastic views, chilled out Caribbean ambiance and tropical cocktails. A cozy oceanside restaurant owned by an ex-model, Cecilia, this cute cottage offers comfy chairs, a star-studded guest list and light and tasty Mediterranean-style cuisine. 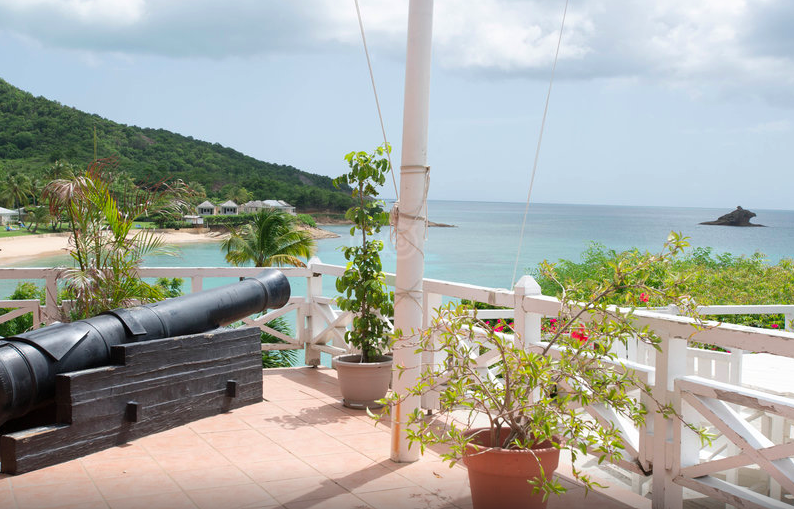 You'll find top-notch, beautifully presented, fresh dishes from Chef Mitchell Husbands at this breezy, hillside restaurant over-looking the gorgeous water at Nonsuch Bay. Enjoy delicate wines and scrumptious French cuisine at this beautifully decorated beach house at Pigeon Beach. A typical Bistro specializing in local seafood in a pleasant atmosphere, sample the lobster risotto, and you'll be back for sure. This colorful shack in Falmouth is a a great for authentic, well-priced local food and its famous for the best roti on island. An elegant, privately owned 5-star boutique resort perched atop a gorgeous hillside surrounded by 140-acres of tropical gardens and undeveloped land. Choose from twenty seven luxury suites, each with dazzling ocean views, and modern, neutral decor that compliments the rich hues of the wooden floors and furniture. You'll pay a pretty penny for a night at this ultra-chic boutique ( over $1,000 per night) - but it's a great option for a secluded and special romantic getaway. A stylish and intimate boutique hotel in Jolly Harbor. Featuring rooms with gorgeous verandas facing the ocean, this cozy hillside hotel is home to popular restaurant, Carmichael's and a full-service relaxing spa. A reasonably-priced resort on 37 acres of landscaped tropical gardens. Hit la plage in nothing at all, at one of four secluded bays, including Antigua's only 'clothing optional' beach. The views at Shirley Heights are undoubtedly some of the best in the Caribbean. Trek from English Harbour on a clear day and you'll see the active Volcano, Montserrat and Guadeloupe almost 500 feet above sea level. Come on a Sunday from 4pm and enjoy the sweet smells of barbecued food and dance to the rhythm of the steel pan. Once the home of the British fleet in the 18 Century and the headquarters of Lord Nelson, this restored naval dockyard and little piece of Antiguan history is worth a visit. A natural limestone bridge near Indian Town is the result of millions of years of erosion. This free attraction also has blowholes and a beach close by. A bit off the-beaten-path, this breathtaking beach offers calm, clear waters and less crowds. Sprinkled with pretty shells, this tranquil beach with ultra-blue waters, pristine sands and a backdrop of flowing mountains, Valley Church Beaches a great place to bathe in the hot sun and let the stress melt away. Sea turtles regular lay their eggs on the gorgeous and clean shoreline at Galley Beach. Iridescent waters, a surrounding lush, green landscape and occasional swell, make this a perfect place for a do-nothing beach day.